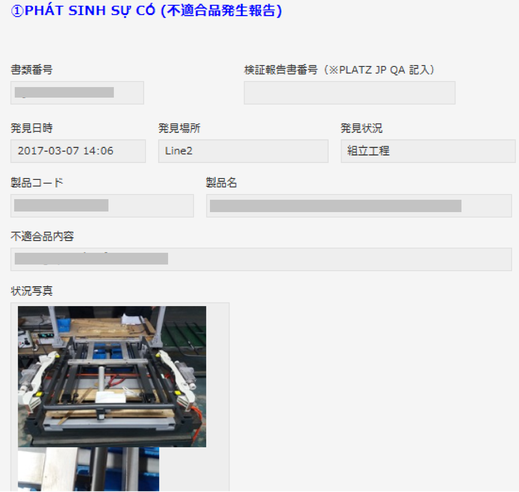 Business name: Platz Vietnam Co., Ltd.
Platz Vietnam Co., Ltd. (hereafter referred to as Platz Vietnam) is the manufacturing facility of the second largest home nursing bed manufacturer in Japan, Platz Co., Ltd. (hereafter referred to as Platz). Platz’s nursing beds are characterized by their reasonable prices and high quality. 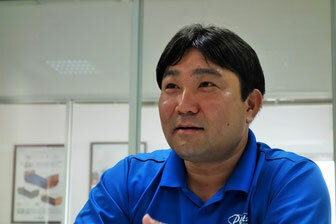 We interviewed Keitaro Tanizoe, manager of the production department, about Platz’s commitment to quality. Reasonably priced yet high quality: "High quality, high performance, low cost"
The major nursing bed manufacturer Platz was established in 1992, when the largest nursing bed manufacturer had an overwhelming market share in Japan. At the time, nursing beds were extremely expensive, leading the founder to think, “This isn’t a price range affordable for children or grandchildren to buy for older people. Can I bring the price down to at least around 100,000 yen?” The PKB-3 series was released at 99,800 yen, an extraordinarily low price for the time, and was met with great response. 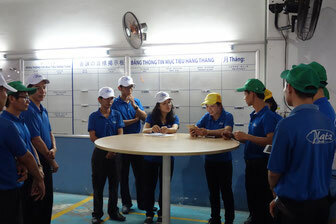 Platz continued to increase in performance with its motto of “Hard work, high quality, high performance, and low cost,” and has now grown to having roughly a 30% market share in the Japanese home nursing bed market, and even plans to increase production at its main factory in Vietnam. How does platz realize high quality? 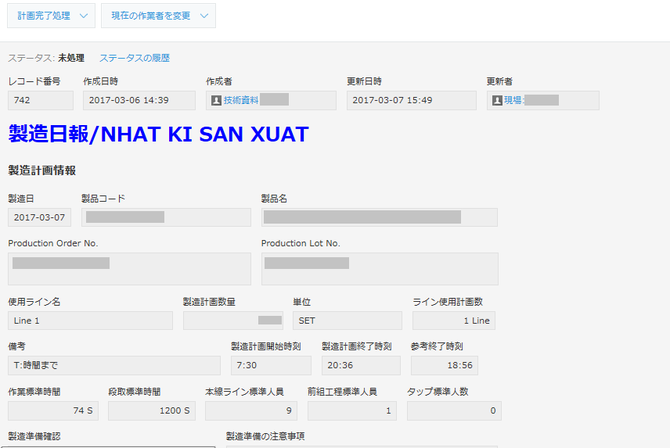 In order to realize low cost, Platz’s production is consigned to an overseas factory. "High performance" is determined in the design stage of production. For this reason, their products are designed in Japan. “High quality” is an issue that is improved in the production stage. Problems definitely occur on a daily basis, so properly handling each of those problems is an important step in increasing quality. Platz conducts full inspections in order to guarantee high quality. The company sends inspectors to overseas factories, where its products are manufactured on consignment, and inspects all products. Although it is more expensive and time consuming than sampling inspections, as conducted by general manufacturers, it is optimal for maintaining quality. Platz guarantees “high quality” by conducting full inspections, produces “high performance” products by designing them in Japan, and provides them at a “low cost” by manufacturing them overseas. This is the secret to Platz’s breakthrough. Why do they adamantly conduct full inspections? The Rafio reduces bedsores and pulmonary aspiration through a natural reclining position. The nursing bed is a culmination of Platz’s history, incorporating all of its technologies. Thanks to its modular construction, specific parts can be replaced if they malfunction, giving consumers a large economic merit. However, as a manufacturer, this is a difficult challenge, as it has to be able to provide parts that are compatible so that a bed purchased several years ago can use new parts as well as parts that are slightly older. If one part cannot be properly accommodated, the reliability of other beds is compromised. Platz’s pursuit of high quality through full inspections is a management strategy that supports its business model. However, as production numbers increase, problems unique to outsourced production became clear. “Until now, we used to outsource all of our production, so we were unable to establish countermeasures for faulty products after they had been released to the market. Additionally, because the factory was not our own, it was difficult to have our requests prioritized. Because of that reason, we decided to have our own assembly plant. “Keeping things tidy and in order, as is the motto in most factories, is actually quite difficult to do, and not only in Vietnam. Often times purchasing a shelf is proposed as a solution for organization, but even if you increase shelves, if you don’t have rules set, they simply become things to put things into. That’s not keeping things tidy and in order. 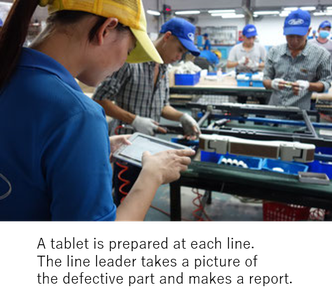 Platz Vietnam primarily uses kintone for “defect information management” and as a "production log.”Let’s take a look at these uses. Quality control was managed through the following. 1.When a faulty product occurs in the factory, the product is photographed with a digital camera. 2.A form is created in the office. 3.A faulty product list is created to match the faulty product form. 4.Correspondence progress of defective products is inscribed every time. “Creating forms now takes almost no time at all, so we were able to improve our duties. However, more importantly, major achievements were easier to report. “Every day, we enter a production plan and achievements at each production line. 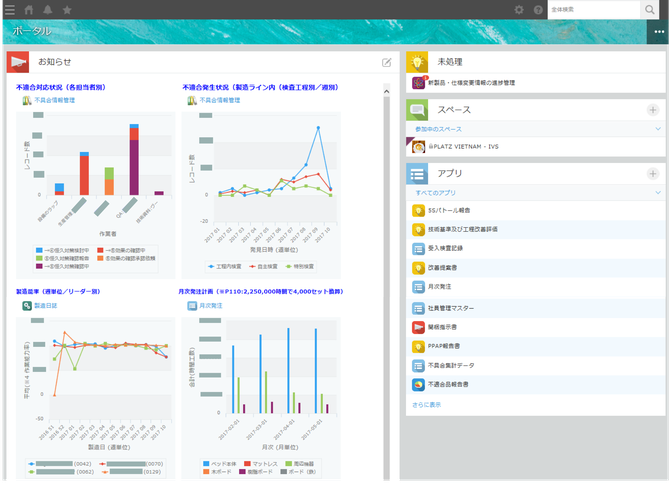 Problems and important points are checked while looking at the previous day’s production log at morning meetings. If the members can see this month’s production target and the current production figures, they can manufacture products more efficiently, says Tanizoe. For example, progress can be checked midday, and if production may not be completed within the given progress, countermeasures can be made beforehand, such as overtime work or holiday work. In the future, the factory plans to visualize production progress of orders. Together with compassion for the elderly.